Stellar Converter for OST is the most prominent Exchange OST to PST converter tool that lets you convert OST file into Outlook importable PST in quick time. Below are the key features of this OST converter tool. Stellar Converter for OST offers quick conversion of Outlook OST file to PST. It extracts complete mailbox objects along with emails, contacts, attachments, calendar entries, etc., and saves them in a newly created PST file. Additionally, this powerful tool facilitates you to convert OST file, when the OST is corrupt or become inaccessible. This Outlook utility provides a safe and reliable conversion of OST file without altering the original structure of the mail items. This secure software ensures keeping the original data intact during the conversion process. Additionally, the utility uses a counter feature that counts the number of converting mail items within each mail folder. 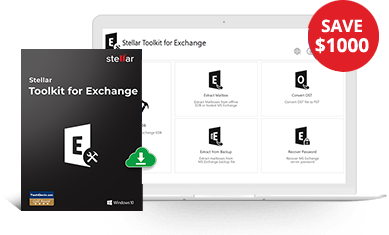 Free download version of Stellar Converter for OST lets you convert and save 20 items per folder completely free into PST from the OST file. You don't need license key to avail the full version, as the demo version allows you save first 20 items from Inbox, Address Book, Tasks and all other mailbox folders to PST without even registering for the activation key. Stellar Converter for OST tool allows you to have a quick preview of the converted mail objects before saving them. With this option, you can preview various mail items including attachments, calendars, tasks, journals, and more. This preview option is akin to Microsoft Outlook which includes message filter bar and 'Arrange By' features. This OST to PST Converter allows you searching desired emails from the OST file. You can further save the individual searched item or multiple email items in different formats such as PST, EML, MSG, RTF, HTML, and PDF. You can save a specific converted object or the entire file at a desired location, once the tool completes the OST file scanning. The Outlook file conversion software uses an advanced 'Save' option, which enables you saving converted file into PST in your local computer, internal drive, or any other network disk. Technician version lets you convert OST to PST file in more comprehensive way. You can compact and split the OST file before saving it as PST. Here are some of the advance features of Stellar Converter for OST Technician version. Save and load scan results: Scan OST file and save the scanned copy of the file (DAT) at preferred location. Later Register the product and Load DAT file and save converted PST file at preferred location. Technician version lets you convert OST file into PST in more comprehensive way. You can compact and split the OST file before saving it as PST. Here are some of the advance features of Stellar Converter for OST Technician version. The advanced feature is very helpfulif you have a bigger size of OST file and you want to break and save it into smaller PSTs. You can split the converted OST file on the basis of 'Date Range', 'Size', and 'Mail ID'. The Outlook file conversion software repairs the corrupt OST file and allows you to save them in multiple saving formats. The repaired OST file items can be saved with specific details like subject of the email, date of the email etc., using the Naming Convention feature. 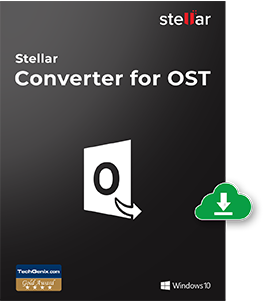 Stellar Converter for OST Technician version provides the facility to save the converted file in multiple file formats, such as Office 365, PST, DBX, MBOX, RTF, EML, MSG, PDF and HTML. You can avail this option at the time of saving the converted file. The tool avails you to export Outlook PST file directly to a live Exchange Server mailbox. All you need to provide the credentials of Exchange Server and the destination mailbox. To ease the process, do ensure that the current system from which you wish to export PST files must be a member of the Exchange Server domain. 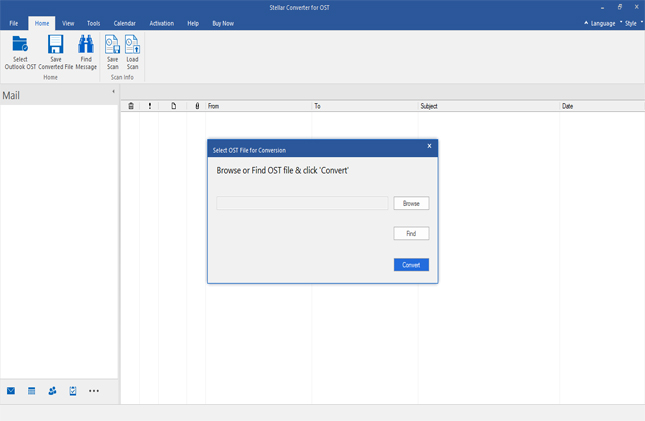 Stellar Converter for OST tool brings another advanced feature which exports the converted PST file to Office 365 and an existing MS Outlook profile. All you have to do is simply select your Outlook profile from the list of profiles provided, and credentials to export your PST files into Outlook. You can also export the PST file to Office 365 account by providing the login details of Office 365. This software gives compact feature to compress the file before converting into PST. The feature is very useful if you are willing to reduce overall size of the resultant PST file. You can separate the attachments and save them on the basis of multiple criteria. Stellar Converter for OST - Technician version provides Batch conversion feature to convert multiple OST files to PSTs at one time. Select OSTs by either "Drag & Drop OST" or "Add OST" option. Later you can convert OST as per mailbox and split mailbox 'by size' or 'by date'. Tried lot of OST file converters in past few years, but this utility is really fast, trustworthy, and effective than any other ost to pst conversion software. Gratefully, I got Stellar ost pst conversion software in time, and converted & kept my valuable Outlook data in fewer clicks. Really an excellent tool for Outlook ost files conversion and recovery! Cheers! 10 out of 10! This utility is the real example of what is actually a trust worthy software. I've found stellar ost pst software recommendation from Microsoft forum, and now I think it was one of my best decisions to had this tool. It converts, recovers, and exports Outlook data into pst in all situations, no matter how big is your ost file.